Channa brown gram or Bengal gram is a deep brown coloured bean that is like to kabuli channa, but lesser in size with a bland skin and mild-tasting bean. 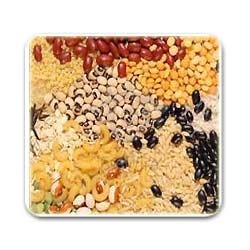 It is high in dietary fiber and is one of the majority protein-rich beans there is. It is generally is utilized in curries and used to create besan flour. It is consumed boiled, fried and sprouted.